White tea is a delicate tea known for its subtle flavor and delicate fragrance. It’s is beloved for it’s minimally processed nature and admired for its centuries-long tradition of production. It’s also often overlooked for more popular true teas such as green tea and black tea. Once reserved only for royalty, white tea is an indulgent tea that will dazzle your senses and awaken new frontiers in your tea discovery. 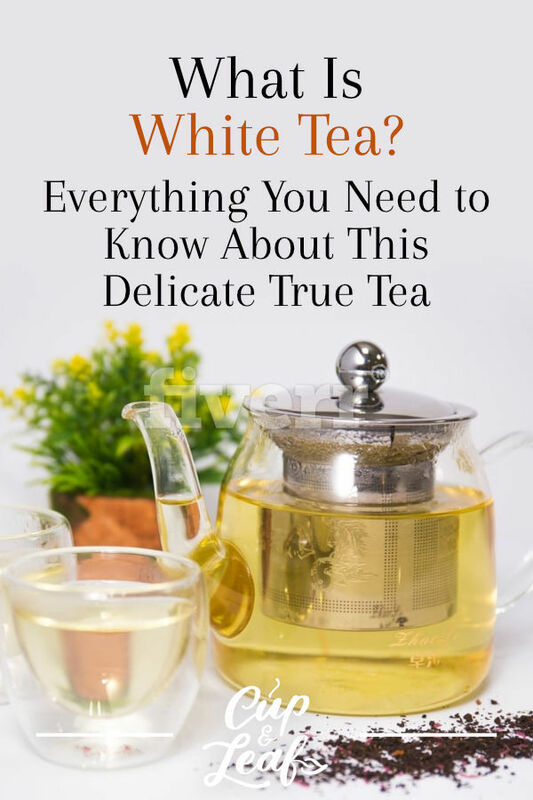 Try something new and discover what white tea has to offer with this comprehensive guide. 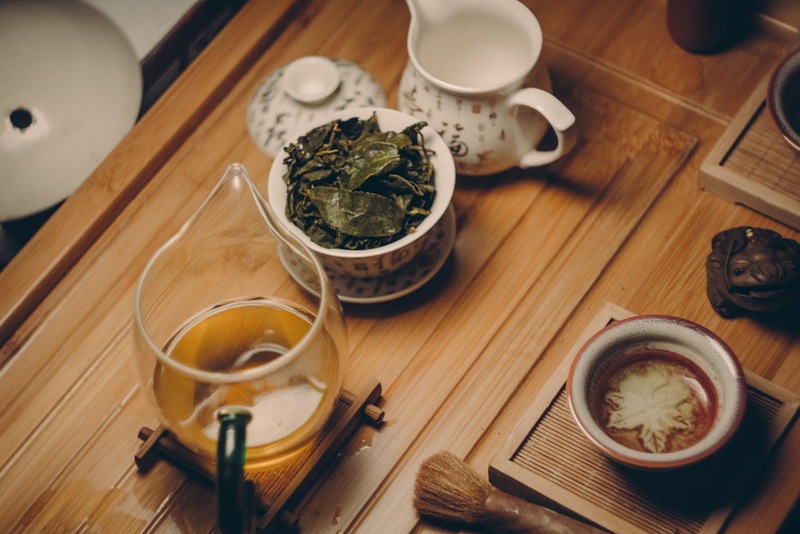 White tea is a true tea—along with green tea, oolong tea, black tea, and pu-erh tea—meaning it's made using leaves from the Camellia sinensis plant, known more commonly as the tea plant. It is known for health benefits that include potential weight loss, improved skin, and reduced inflammation. 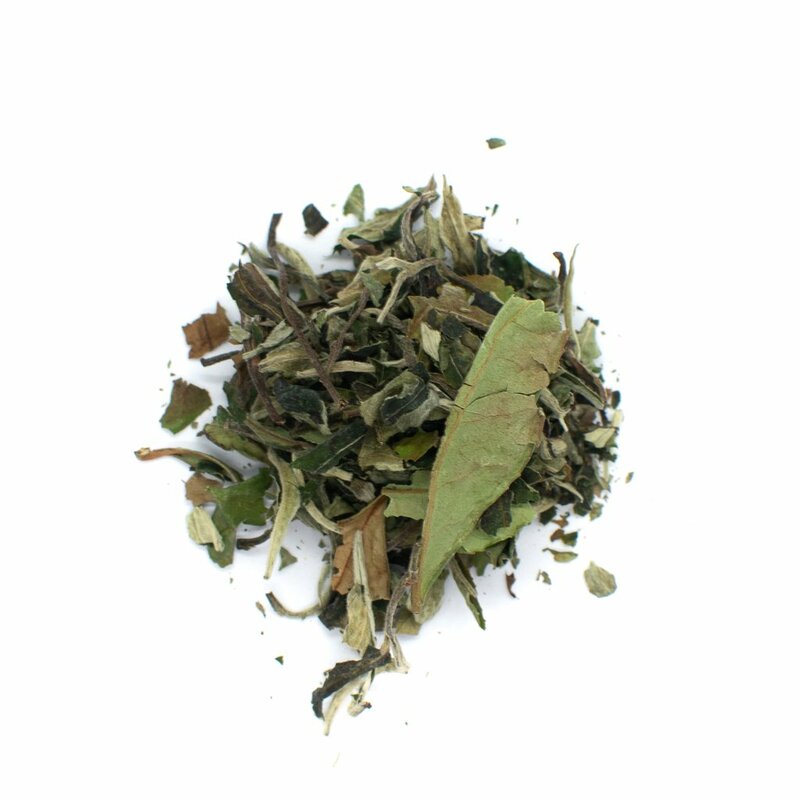 White tea is not oxidized and made using only the young leaves from the tea bush. It is harvested in late spring and early summer. The leaves are harvested before they fully open and are characterized by delicate white hairs that line the leaves. White tea is the most minimally processed of the true teas. The tea production process involves only harvesting, withering, and drying the leaves. Each leaf is picked by hand and then withered for 72 hours either in direct sunlight or in a room with a carefully controlled climate. The leaves are then dried to prevent oxidation from occurring. The result of the minimal production process is a delicate tea that is considered among the freshest in the world. 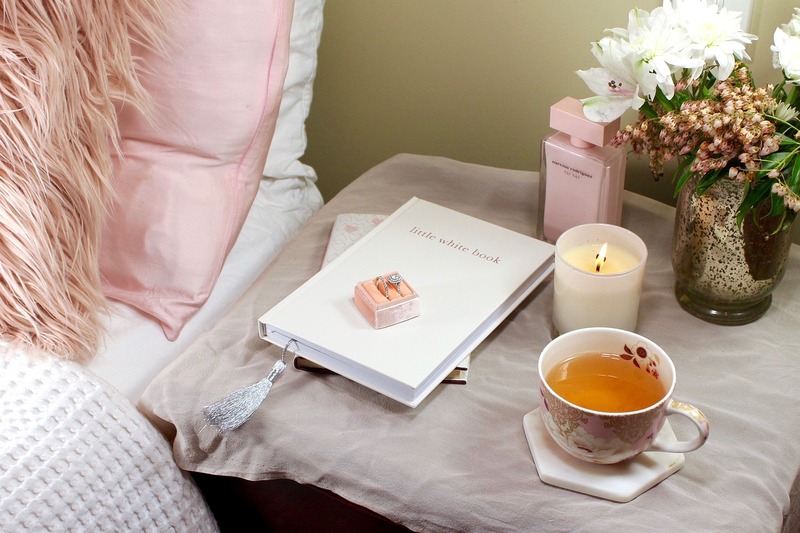 White teas offer hints of sweet floral flavor and a soft finish. White teas can also include flavor notes such as honey, citrus, vanilla, peach, melon, and apricot. White teas are typically light or medium-bodied and boast a mild, yet nuanced flavor profile. 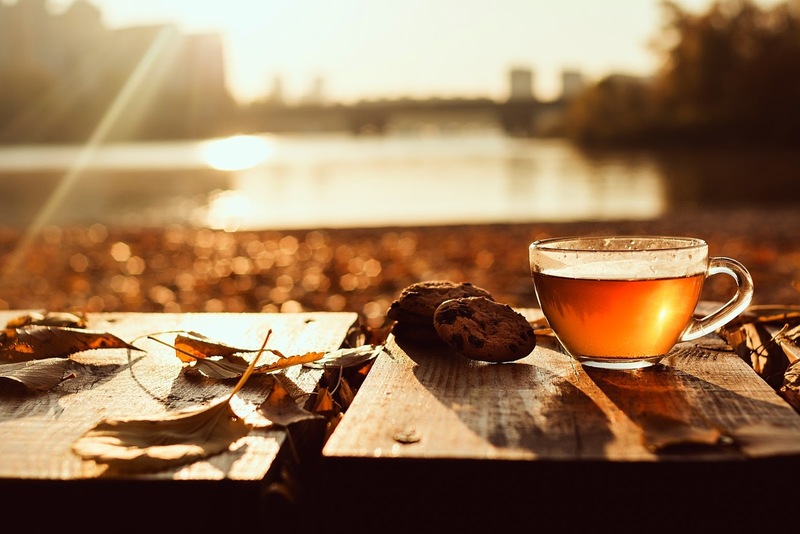 White tea can be combined with herbal teas to create flavored teas—similar to the way black tea is used as a base tea in Earl Grey and masala chai. Below, you'll find some of our favorite white tea types. White tea was first produced during the time or emperor rule in China. The tea is estimated to have emerged sometime between 600 and 1300 A.D. when tea began to gain immense popularity throughout Chinese culture. The emperors were lavished with fine teas by the local communities as a form of payment and an offering of respect and gratitude. True white tea as we know it today was enjoyed exclusively by the emperors and their close confidants. The emperors established their own tea gardens to grow the tea plants and use their delicate leaves for young tea. The earliest white tea seems to have come from the Tang Dynasty, which harvested silver needle leaves and compacted them into cakes with other spices and herbs. Today, silver needle white tea is still considered the gold standard of white teas. 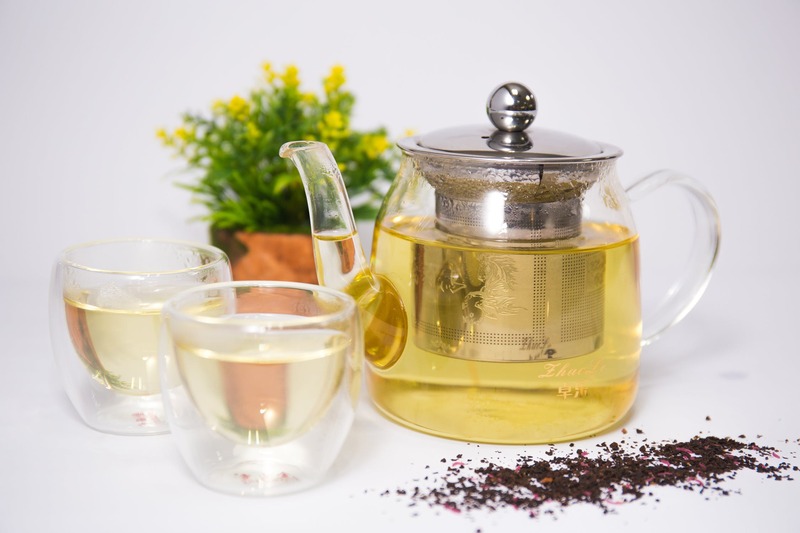 The subsequent Song Dynasty added delicate floral flavors such as chrysanthemum to their white tea infusions. The Qing Dynasty was the first to infuse the tea using loose leaves rather than powdered or caked forms. Silver needle white tea is considered the highest quality white tea on the market. It is a best seller among tea connoisseurs and often included as part of exquisite tea samplers. It is cultivated mainly in the Fujian province of China and the highest grades come from Fuding. Harvesters collect only the youngest tea buds from the Da Bai version of the tea plant. The first flush occurs between March 15th and April 10th and tea buds are only harvested during sunny weather. This type of white tea is deep green and features delicate white hairs along the leaves. It's also fleshy to the touch and brews into a pale yellow infusion. The tea is often described as shimmering as the delicate white hairs can reflect light in the cup. True Silver Needle white teas do not contain any stems or opened white tea leaves—only buds. Silver Needle white tea is best brewed using water at a temperature of 165 degrees Fahrenheit. The tea buds should steep for about 5 minutes before being removed. A proper infusion will result in a pale yellow infusion that features a flavor and aroma that is light and mildly sweet. 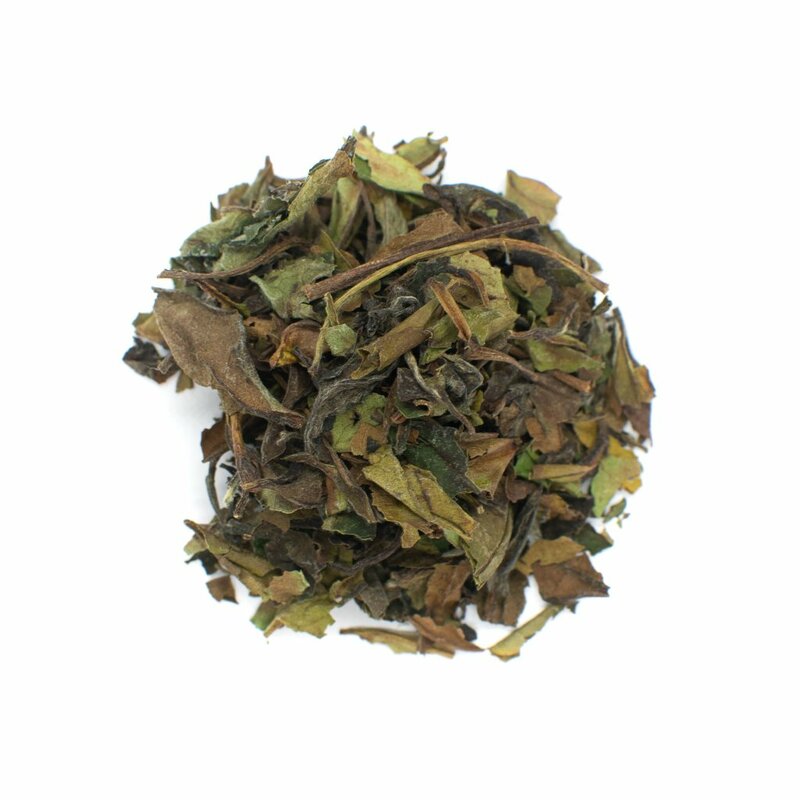 Discover high-quality white tea at an affordable price with our Pai Mu Tan White Tea. White Peony tea is considered the second-highest quality white tea available. It is more affordable the Silver Needle white tea. This tea is made using a combination of two opened tea leaves and one unopened bud. The leaves are again harvested by hand between March 15th and April 10th. If there is rain, morning dew, or frost, the leaves are not harvested to prevent damaging their delicate nature. 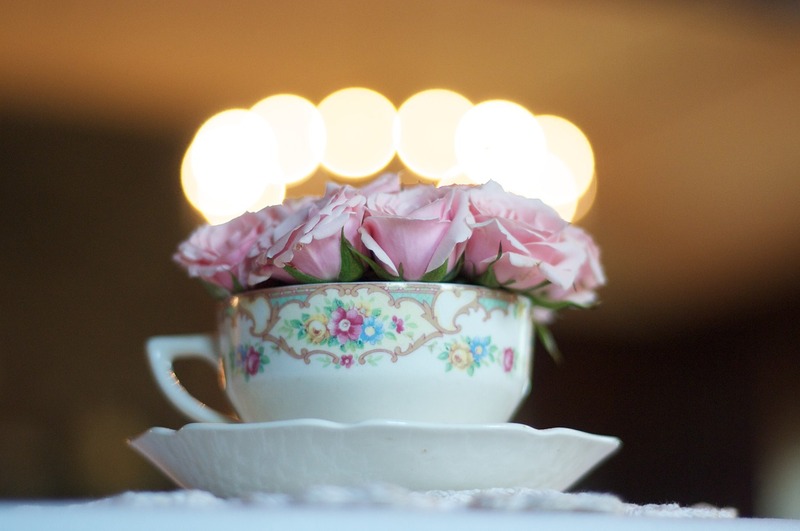 A proper infusion of White Peony tea results in a medium gold or mild green color. It has a stronger flavor compared to Silver Needle and features hints of floral notes such as peony and chrysanthemum. The overall flavor is mellow and should feature a slightly lingering aroma. Prefer bold flavors? Try our Sow Mee White Tea that offers delicate white tea notes, but a flavor profile more similar to an oolong. Sowmee white tea is a Chinese white tea that offers a flavor profile more similar to an oolong tea. This type of white tea is mainly cultivated in the Guangxi or Fujian provinces. The leaves are hand-picked from the upper levels of the tea plant and consist of darker leaves when dried. This tea brews into a pale brown hue and offers a bold flavor that is slightly roasted and earthy. The best varieties are loose leaf teas, but you can also find this white tea in tea bags. Darjeeling white tea is produced in the Darjeeling region of India rather than in China. It grows at high altitudes and the leaves are harvested and dried in direct sunlight. This tea offers a muscatel flavor with hints of honey and brews into a slightly deeper gold color than other white tea varieties. White tea is a true tea that undergoes minimal processing to maintain a natural flavor and delicate aroma. It is a traditional Chinese tea but is now cultivated in India as well. Loose leaf white teas feature a delicate flavor and light-colored infusion. They offer a flavor profile that is nuanced and suitable for beginner tea drinker palettes as well as tea experts. Brew up a cup of iced tea or sip a piping hot batch of this delightfully natural tea.